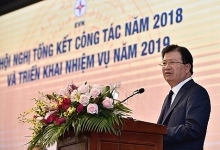 Ho Chi Minh City’s Department of Transport plans to set up three new compressed natural gas (CNG) filling stations to meet refueling demand of CNG buses this year, according to the director of the department’s Public Transportation Management Center. Tran Chi Trung said the three filling stations will be placed at bus terminals at District 1’s 23/9 Park, Cho Lon (Big Market) in District 5 and District 8 Bus Station, covering an area of about 500sq.m each. 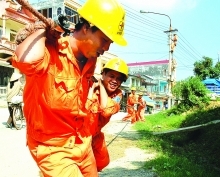 Trung said the city needs a total of 19 CNG filling stations to accommodate the rising number of CNG buses in the coming years. Next year, the department expects to build an additional 12 CNG filling stations in many districts, he said. The installation follows a plan of the municipal Party Committee and People’s Committee to create an environmentally friendly system of passenger transportation. The city aims to replace about 3,120 buses with new ones in the 2018-2020 period. Of the figure, it is estimated that the city can reach about 75 percent of the replaced buses running on clean fuel like CNG. 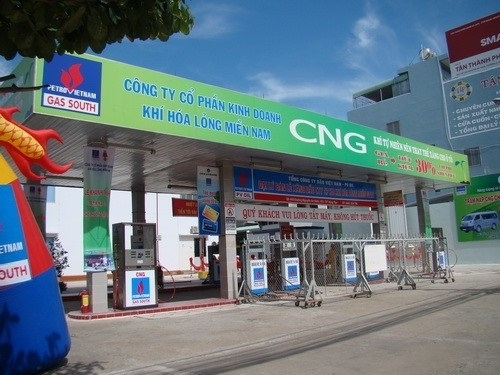 However, the city currently has only four CNG filling stations, which are located far from the city center (in Thu Duc, Tan Binh, Binh Chanh districts, and District 12), leading to increased operational costs for bus operators and more time for bus refueling. The PVGazprom Natural Gas For Vehicles Limited Liability Company (PVGazprom NGV), a joint venture of PetroVietnam Gas Joint Stock Corporation (PV Gas) and Russia PVGazprom International, have been asked to invest in new CNG filling stations. In addition, the department has asked the PVGazprom NGV to conduct research about portable gas stations that would provide gas for public vehicles in cases of urgent demand.